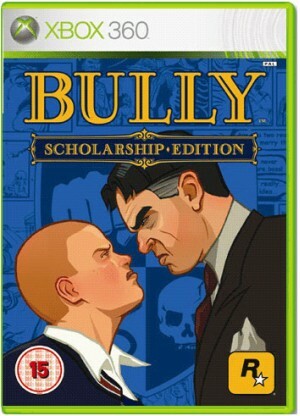 Bully - Scholarship Edition takes place in the fictional New England boarding school of Bullworth Academy, and tells the story of 15-year-old Jimmy Hopkins as he experiences the highs and lows of adjusting to a new school. Capturing the hilarity and awkwardness of adolescence perfectly, Bully: Scholarship Edition pulls the player into its cinematic and engrossing world. Universally acclaimed upon first release, Bully: Scholarship Edition is a genre-crossing action game with a warmth and pathos that is unrivaled.